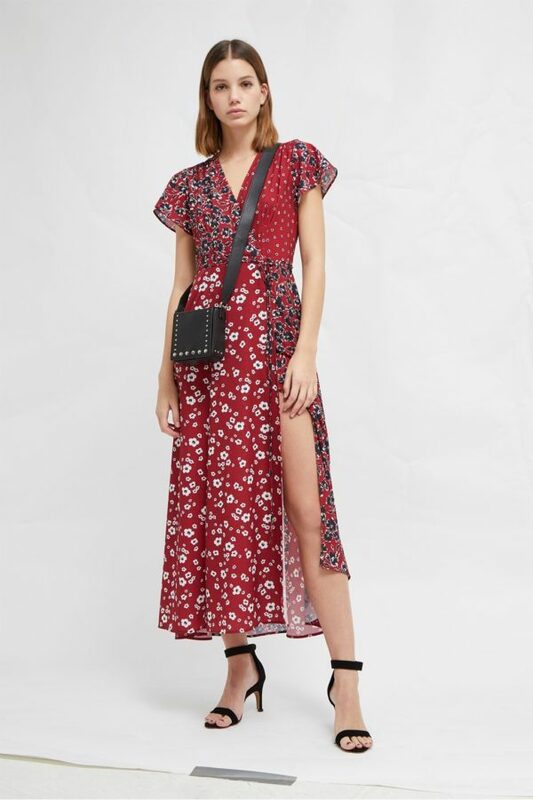 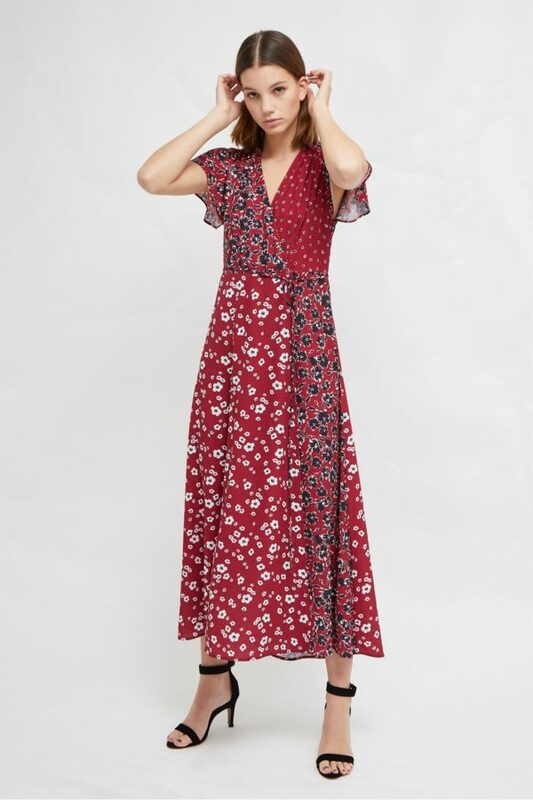 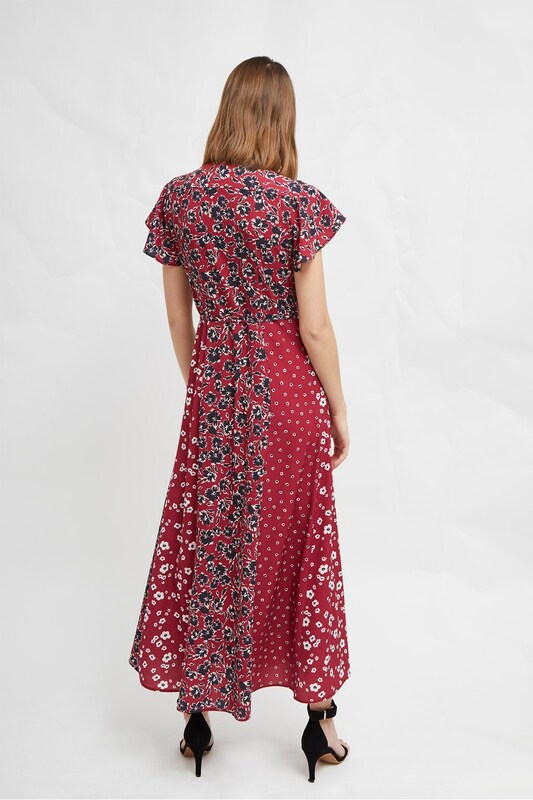 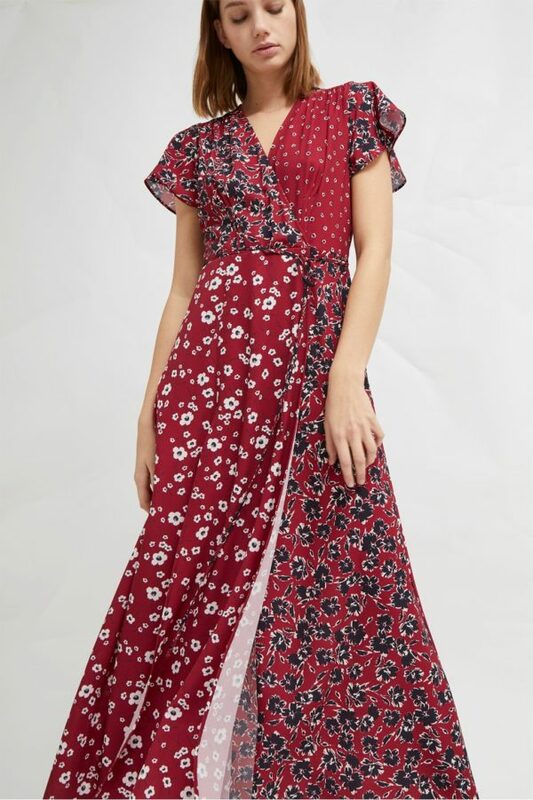 Mixed florals and a flowing, draped fit make the Aliyah Crepe Floral Maxi Dress a pretty piece perfect for dressing up or down as necessary. The floor-length dress features a flattering wrap front with a tie waist, short sleeves and a V neckline. 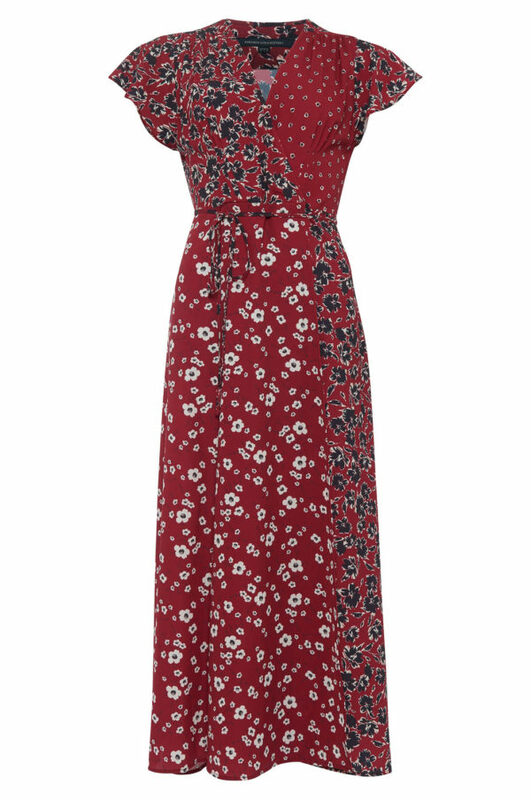 Covering the dress is a mix of floral patterns, scattered throughout for a pretty effect. 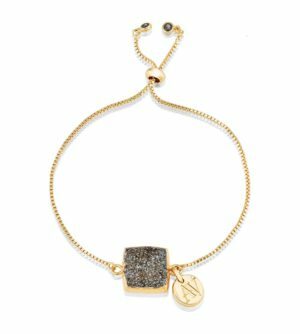 Dress down with trainers or pair with you favourite heels on special occasions.